What happens when the leaders of your country set out to destroy your film history and culture? A Flickering of Truth is an award winning documentary about a group of Afghans in search of the films they secretly buried during Taliban rule and their determination to restore a hidden past. 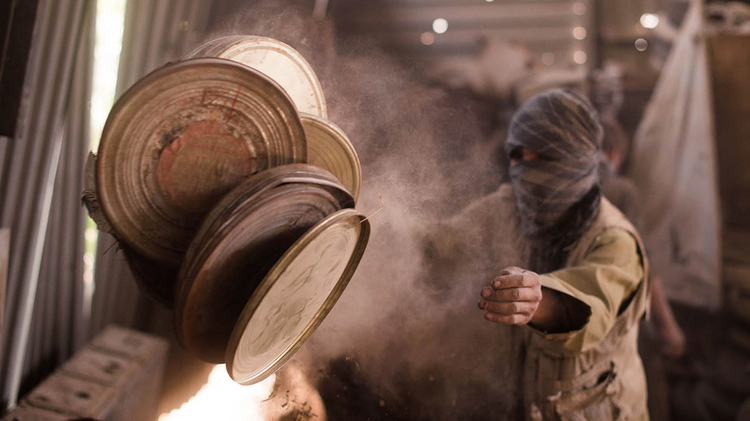 While archivists and historians in the West battle to restore decaying films, under Taliban rule, archivists in Afghanistan were forced to burn the country’s films or face the death penalty. Determined to preserve Afghanistan’s history and culture, Ibrahim Airy, along with his colleagues buried and hid as many films as he could before leaving the country in exile. Director Pietra Brettkelly follows Arify on a journey to find the hidden films and reorganise this rich and unique culture and history for future generations to come. Win two tickets to see A Flickering of Truth at the Watershed on Saturday 30th July at 13:40, by sharing this post on Facebook. Ticket prices: £6.50 full / £4.50 concessions and under 24s. The screening will be followed by a Skype Q&A with director Pietra Brettkelly led by South West Silent’s Co-Director & Curator Rosie Taylor. This film is being shown as part of the Watershed’s Cinema Rediscovered week. This event celebrates great films back on the big screen and gives audiences an opportunity to discover – or re-discover – new digital restorations, film print rarities of early cinema, and contemporary classics.